Family medicine is nothing short of a calling for Grace, who left a successful career as a Washington DC litigation attorney to resume the medical path she embarked upon many years ago as a freshman pre-med at Middlebury College in Vermont. Aptly, Grace returned to Vermont for her medical training; at the University of Vermont’s Larner College of Medicine, she served as president of the Family Medicine Student Interest Group, delivered advanced-care planning presentations to local businesses and civic groups, presided over the board of directors for a local non-profit substance abuse prevention coalition, and was inducted into the Gold Humanism in Medicine Honor Society. As a physician, Grace envisions improving the health of her community as well as her patients. She has a particular interest in health promotion and a passion for leadership and community work. Grace grew up in Massachusetts and holds a BA in political science from Middlebury, a JD from George Washington University Law School, and a graduate certificate in public health from George Washington University School of Public Health & Health Sciences. She finds joy in playing with her young son, as well as skiing, hiking, trail running, gardening, and yoga. Born and raised in Pittsburgh PA, Catherine holds a bachelor’s degree in biology from Saint Mary’s College in Notre Dame, Indiana. Prior to enrolling in the West Virginia School of Osteopathic Medicine, she worked as a biochemistry lab tech at the University of Indiana School of Medicine, studying the effect and role of hydrogen sulfide in oxygen sensing. She has an interest in full-spectrum family medicine with an emphasis on women’s health, preventive care, and osteopathic manipulative medicine. In medical school, Catherine was one of two students selected for a competitive graduate teaching assistant position. Her responsibilities included supporting the osteopathic principles and practice curriculum for first and second year medical students, administering the free Student OMM Clinic, developing and presenting lectures and review sessions, and managing a panel of her own OMM patients. 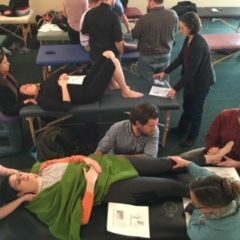 The additional clinical and teaching experience not only solidified her osteopathic knowledge but also enhanced her patient communication skills. Her desire for further exposure to complementary and alternative approaches drove her to establish an Integrative Medicine Club at WVSOM. Her medical studies were enriched by volunteering with the Himalayan Health Exchange in India and with a local program serving survivors of abuse, and participating in the Wilderness Medicine Club. She was involved in several research projects, including the development of a study investigating the impact of osteopathic manipulation in patients with osteoarthritis of the knee. When Catherine isn’t doctoring, she enjoys hiking, spending time outdoors, travel, yoga, reading, cooking, and showering love on her adorable mini golden-doodle. Rachel loves a good challenge and appreciates how family medicine constantly pushes her to expand her medical knowledge and skills. She has a solid history of pursuing new challenges; after graduating from Yale University with a degree in Slavic languages, Rachel was awarded a Fulbright Research Fellowship and spent a year in Ukraine studying women’s reproductive health choices, co-authoring a health-care management textbook, and contributing to the World Health Organization’s assessment of reproductive health. From Ukraine she headed to Liberia, where she supervised the development and management of 16 rural health clinics for an African-American led international development organization. Just prior to enrolling in medical school, Rachel led grant development to support international humanitarian work in a number of countries, resulting in the funding of a multi-million dollar reading project in Pakistan. At Columbia University, where she was part of the Columbia-Bassett program and did the majority of her clinical training in rural upstate New York, she volunteered with Medical Students for Choice, served as co-president of the Global Health Organization, and designed an introductory global health curriculum. As a participant in Columbia University’s dual degree MS/MD program, which culminates in a Master of Science degree in biomedical science with a focus in global health earned concurrently with her medical degree, Rachel spent a summer working with Columbia’s HIV Vaccine Trials Unit as a research assistant and a year conducting research on breast milk composition at the Norwegian Institute of Public Health. She is listed as first author on two peer-reviewed publications stemming from her research in Norway. Rachel aspires to establish a rural family medicine practice and cherishes the feeling of community associated with rural living. She enjoys spending time with her husband and children, outdoor activities, cooking, and quilting. Marie now makes her home in Maine but originally hails from the Greater Boston area. Her undergraduate degree is in anthropology with a nutrition minor from the University of Vermont, and she holds a master’s degree in medical sciences from Boston University. Her decision to pursue a career in medicine was informed by a number of healthcare-related jobs including clinical assistant/EKG technician in a cardiology practice, office manager for a laser skin clinic, and licensed nursing assistant supporting individuals with quadriplegia. She also spent time volunteering in Ghana to provide eye screening outreach with Unite for Sight. At UNECOM, Marie volunteered with the Biddeford Soup Kitchen and participated in a hospice immersion experience to gain a better understanding of end-of-life care. She is thrilled by the breadth of family medicine and has a special interest in geriatric medicine and osteopathic manipulative medicine. Marie brings to Maine-Dartmouth a holistic approach to patient care, compassion, and a determination to be fully present with patients. In her spare time she loves to garden and hike, practice yoga, play with her dogs, develop her furniture-building skills, and spend time with friends and family. “Serendipity” is the only way to describe how Ohio native Nathan Devore became a family medicine physician. While working as a pharmacy technician, he studied anthropology at Miami University in Oxford, Ohio and traveled to India for most of a year to study health journalism. There he became inspired by the village doctor, a compassionate man revered by the rural communities he served, who took seriously his responsibilities as healer, advocate, and community leader. Observing this rural northern India physician caring for his patients profoundly affected Nathan. A year later Nathan had the privilege to shadow a family physician caring for Cincinnati’s most vulnerable residents, and he was hooked. 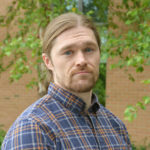 At the University of Toledo COM, Nathan assisted with a variety of research projects and co-authored a publication related to the study of energy drink consumption. In his spare time he enjoys cycling, hiking, medical history, cooking, and boats. Laura always knew she wanted to go into medicine, and a desire to be hands-on drew her to osteopathic training. She finds family medicine especially appealing because of the diversity, continuity, and emphasis on patient education and wellness. She has an undergraduate degree in neuroscience from Ursinus College in PA and a graduate degree in biomedical sciences from the University of Medicine and Dentistry of NJ Graduate School of Biomedical Sciences. As a certified personal trainer prior to matriculation at Rowan SOM, she worked with individuals transitioning out of physical therapy to ensure they could maintain therapy gains. In medical school Laura assumed a number of student leadership roles: Vice President of the Student Government Association; National Clinical Education Representative to the Council of Student Government Presidents; delegate to the AOA House of Delegates; student director of the NJ Association of Osteopathic Physician & Surgeons; student ambassador for the ED to MED Campaign; Mental Health Awareness Task Force ambassador. 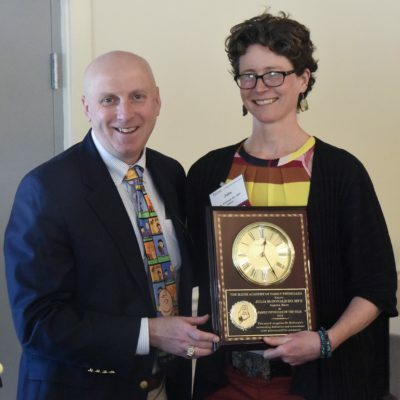 She co-directed the school’s Osteopathic Manipulative Medicine clinic, chaired the osteopathic medical school’s Wellness Committee, and co-founded and -directed Rowan’s Osteopathic Community Garden. In 2017 she was honored to be chosen as the Rowan SOM Student DO of the Year and inducted into the Gold Humanism Honor Society. In her free time Laura is an avid gluten-free cook and baker and enjoys rock-climbing, a variety of team sports, attending professional hockey games, and cheering for the Raiders. A native of Pueblo, CO, Sarah earned a bachelor’s degree in integrative physiology with certificates in neuroscience and leadership from the University of Colorado at Boulder. During her undergraduate program she became involved with the non-profit organization Health Outreach for Latin America based in Boulder, eventually serving as Director of Human Resources and then as a board member; Sarah’s public health and healthcare experiences with underserved communities in Nicaragua through HOLA were transformative and guided her to a career in medicine. After graduation she worked briefly as a dermatology medical assistant and then matriculated to Rocky Vista University College of Osteopathic Medicine. Her many accomplishments at RVUCOM include selection as a pre-doctoral osteopathic principles and practices fellow, selection for the Global Medicine Honors Track, and recipient of a medical education scholarship from the Denver Osteopathic Foundation. She has had held a number of leadership roles in her medical school including president of the school’s Student AAO chapter and vice president of the Colorado Osteopathic Fellowship Foundation. Through Rocky Vista’s global medicine program, she has traveled to Haiti, Guatemala, Peru, Ecuador, Kenya, and Nepal to deliver medical care in socioeconomically disadvantaged communities. She served as student team physician for a semi-pro rugby team and for the Dew Tour’s snowboard/ski championships in Breckenridge. As a pre-doctoral fellow, she completed an additional year of medical school during which she taught first and second year medical students, participated in a number of supplementary osteopathic courses and conferences, gained much experience in OMT procedures, and served as co-chief editor of the medical school’s 550-plus−page osteopathic technique manual. Sarah has a strong interest in optimizing the health of her patients rather than focusing solely on treating disease, and in applying manipulative medicine skills to support health improvement. Her hobbies include soaking up the outdoors, yoga & meditation practice, basketball, volleyball, tennis, water sports, singing, and reading. Valerie grew up in a small rural town in upstate New York and knew since middle school that she wanted to be a physician. Her early exposure to the repercussions of rural poverty and a growing awareness of the social determinants of health during her undergraduate studies at University at Buffalo SUNY solidified her resolve to pursue a career as a rural family physician. She chose to acquire her medical training from a program with a strong rural medicine track and is determined to one day establish a rural family medicine practice. At Upstate Medical University, Valerie served as the student representative on the board of the New York State Academy of Family Physicians and its Education Commission. She was the vice-president of the Family Medicine Student Organization and mentored high school students interested in a career in medicine. In her spare time she enjoys being with friends and family, cooking, baking, watching old movies, and painting watercolors. Born and raised in Kalamazoo MI, Max considers his path to membership in the inaugural class at Marian University College of Osteopathic Medicine “a series of fortunate accidents.” Prominent among them was the award of a creative works grant from the Center for Undergraduate Research through the University of Notre Dame. As he neared completion of a liberal arts degree in Psychology from the University of Notre Dame, Max found himself weighing his options for life after college. Wanting to better understand the concept of the “American Dream” and how it might apply to him, he proposed to travel by car across 38 states to examine how our dreams are shaped and supported. With only enough belongings to fit into a laundry basket, he camped and couch-surfed across America, conversed with friends and strangers, consumed books and films, and came to the epiphany that healthcare and education were the keys to his future. Fast forward eight years and Max is no longer studying the dream but living it. 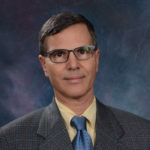 He is a certified yoga instructor and developed and taught a weekly yoga practice for the medical and nursing community at Marian University to cultivate wellness. He is the winner of several education scholarships; was twice voted the Marian University “Good Samaritan”; and was honored as the 2017 Marian University “Fellow of the Year.” Max helped to establish a pre-doctoral osteopathic teaching fellowship and was the inaugural teaching fellow as well as the representative to the National Undergraduate Fellows Association. During medical school he contributed his time to a number of community causes and events, including preparing meals at the local homeless shelter, teaching chair yoga at a local retirement/nursing home, and volunteering for campus-supported community outreach events. 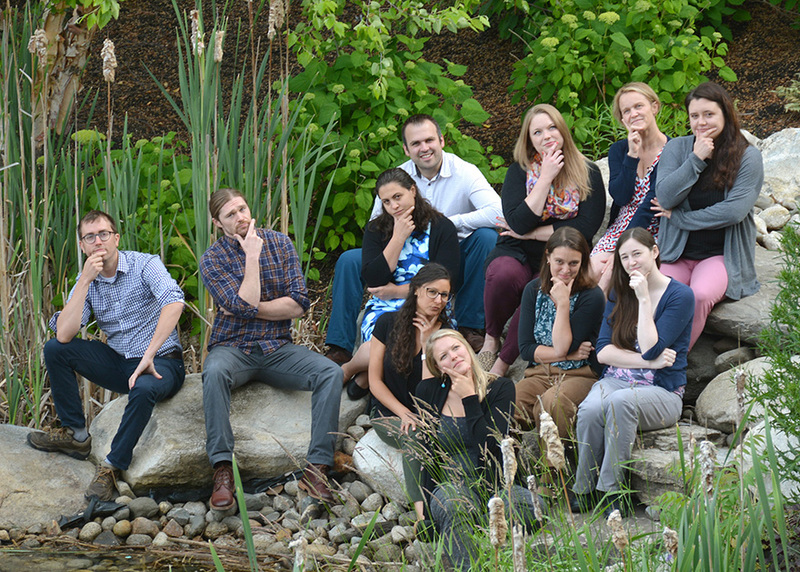 Max has a passion for teaching, underserved populations, and full-spectrum family medicine. He is looking forward to refining his osteopathic manipulation skills and building relationships with his new community, patients, and health care team. When time allows, Max enjoys fishing, hiking, yoga, being outdoors, cheering on the Detroit Tigers, folk/bluegrass music, and spending time with his family and significant other. One of the things Katelyn cherishes most about family medicine practice is seeing multiple generations of the same family in a visit. She appreciates the multiple roles a family medicine physician plays: advocate, educator, counselor, community leader, and healer. 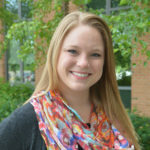 Katelyn earned a bachelor’s degree in neuroscience with a minor in classical civilizations from Union College in Schenectady NY and completed her medical training at the State University of New York Upstate Medical University, where she participated in the Rural Medical Scholars Program. Prior to matriculating to Upstate, Katelyn helped care for residents of an assisted living facility and volunteered extensively at a unique hospice home. 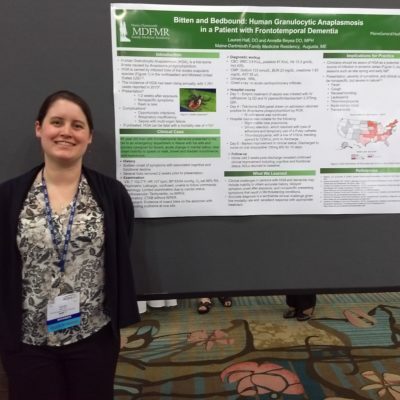 During medical school Katelyn volunteered with the local animal shelter, mentored members of an undergraduate pre-med club at SUNY Binghamton, served as an advisor for the Rural Medicine Program, and participated in several student groups. She loves to read, enjoys almost all outdoor activities, and holds a black belt in Tang Soo Do.